The Top Notch Consultants team members are setting their sights high for 2016. According to Tony, the company President, they are expecting to really push themselves in the coming months. Charlotte, NC, February 26, 2016	(Newswire.com) - ​The start of 2016 has been marked by a major goal-setting initiative for the associates at Top Notch Consultants. This has included identifying both short-term and strategic objectives for the growing sales and marketing business. Tony asserted that every New Year should bring a time of reflection and planning. This culture of growth is evident in the Top Notch Consultants team’s plans to greatly expand the company in the next 12 months. The firm’s brand ambassadors are working to start representing new brands and manage new campaigns. According to Tony, he and his team want to be able to look back at this same time next year with pride for all they have accomplished. Tony continued to suggest some goals for businesses in the next year. He stated that the Top Notch Consultants team is seeking primarily to expand its portfolio of brands. However, other goals set by the associates include giving back to the community, learning new skills, and fine-tuning business processes. Other possible New Year’s goals that Tony suggested relate to self-care, networking, and entering a new marketing channel. He made a particularly strong case for the first of these. According to Tony, investing into living a healthy and happy lifestyle can pay off significantly in terms of productivity and efficiency. Top Notch Consultants specializes in achieving world-class lead generation results. The combination of well-researched buyer profiles and talented expertise allows the firm’s experts to craft powerful campaigns. Their effective, flexible outsourced marketing model can be easily customized and scaled to meet each business’ unique needs. They excel at driving levels of brand awareness that exceed expectations. As a result, they ensure ROIs are achieved faster so companies can quickly expand into new regions. Top Notch Consultants’ goal is to provide exceptional service to brands across the nation. 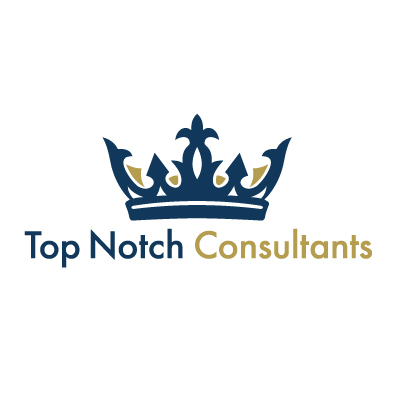 Visit them online at http://topnotchconsultantsinc.com.